Which of your consoles/computers have you owned since childhood? Many of us buy and sell consoles over the years, but some have stood the long test of time. Tell us about your childhood consoles that you still love and cherish. What are their stories? Mac--I have a Mac Classic that I acquired on the cheap when I was in high school. It is sadly not running currently and I believe it just needs new caps on the motherboard and PSU. Got this computer for free from a computer lab at my high school which was retiring it. PC--My high school HP is still in my parents basement. The computer itself is unremarkable but has a Voodoo 2 or 3 in it which I need to salvage for posterity for some point. I may have it framed, or use for a Windows 98' PC build. This was the "family computer" but I paid for the Voodoo 2 out of pocket with part time work. NES--My original NES was sent to an authorized repair center to have the 72 pin connector replaced. I was pissed to realize they gave me another (more worn) console as a replacement!! Still...that was my early teens and I still have that NES toaster to this day. I've since defeated the 10-Nes chip and replaced the 72 pin connector at least one more time. It's currently in storage as my NES toploader is my go-to, but I will probably be hooking it up to my living room TV soon as I now have the space/capacity for it. The NES was a Christmas gift around 1990 or so. N64- My high school N64 (black launch model) was stolen at a party, but the translucent orange funtastic machine I replaced it with is still in my possession, bone stock with the Nintendo Ram Upgrade only, and is hooked up to the big flat screen at my parents for when I visit there. Paid for out of pocket with summer job money. Gamecube- My launch edition black gamecube was fried when my roomates in Germany (Army) plugged it directly into the wall instead of a transformer. I replaced it with a Platinum edition GameCube which I still have to this day and is currently in storage. It was my last purchase at 18 that qualifies. It will be coming out soon to keep my Wii U company in my gameroom, as the Wii U is moving downstairs having been replaced by my switch. Paid for with my earnings while in the military. Every Atari, Sega, Panasonic, Nec, Phillips, or Microsoft was acquired after, either new or at Play N' Trades. I wish I still had my childhood Super Nintendo but my parents never bought me one!! lol. I had to put my N64 on layaway as it was with "the bank of mom"
Speaking of which, please do add fun stories of how you PAID for your consoles back in those years. My TurboGrafx. I've had it since high school. The TurboStick in this pic came later and was used, but the other accessories are my original "one owner" pieces. It was a Christmas present. I had been begging my parents for one and they finally got it. Had to drive to the next state over to get one that had the free game promo card. That Christmas I got the TurboGrafx, the TurboTap, an extra controller, The Legendary Axe, and Blazing Lazers (the free game). Edited by Eltigro, Tue Feb 27, 2018 9:00 AM. SNES: This was first console I ever had. My earliest memory of it was me playing Super Mario World on a 9" Sanyo tube TV, and that was back when the Sega Dreamcast was still being supported. GBA SP: I know this one is a handheld, but I had a lot of fond memories of it. Whether it'd be playing multiplayer Mario Kart Super Circuit in the car, or just getting a new game for it. NES: This one was a hand-me-down console. I had the side-loader model, along with a bunch of different games, two controllers, and a grey Zapper. Gamecube: My brother and I got a Gamecube for Christmas, along with a two controllers, one black and the other silver, a copy of Mario Party 7, and a copy of Mario Kart Double Dash. I'd say this was the biggest system of my childhood. I can think of a few. 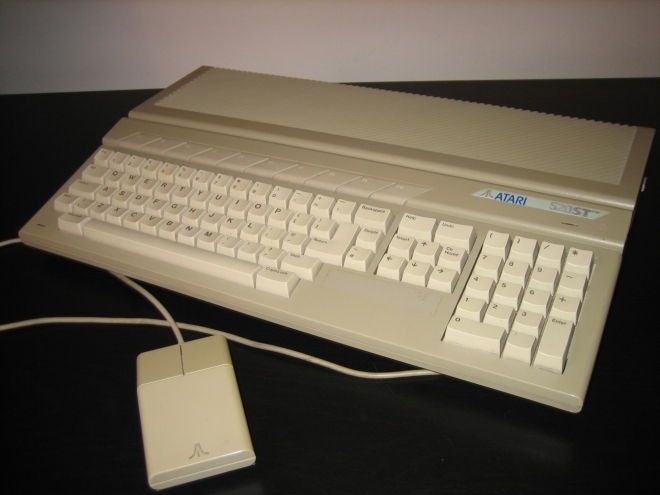 I now own an Atari 800 and 800XL that used to belong to my uncles and that we all used as kids. I also have a Timex/Sinclair 1000 that my grandfather owned, and I *think* one of my six-switch 2600s is the same one that either I or my uncles owned as kids (my 2600s have been shuffled around a lot so it's hard to remember). I regrettably no longer have my original TI 99/4A (which was my first computer), but I have since replaced it with several other 99/4A systems. I think I have my old VCS (yard sale for pennies, it had a broken sound chip which a friend repaired) -- I was in high school at the time, ~1984 I would guess. I've sold off my first things (Odyssey 2, Intellivision, TS1000, Mac SE) and don't really miss them. The oldest original thing that I bought new is my Nintendo 64 from 1996. I've kept most of my hardware since then, but don't have most of it hooked up anymore. I just pulled the PS3 off the TV and replaced it with the SuperNT. It was fun to realize how many SNES cartridges I had kept from olden days -- though not the originals I bought in early 1990s. The 386SX-16 PC that my BBS ran on (actually got this when I was 20, but I still have it and it works - frozen in time since I took down my BBS on 1/8/95). Since I was under 18: Atari 2600, NES, Intellivision, Atari 7800, N64, Playstation, and Dreamcast for home consoles, Game Boy, Game Gear, Game Boy Color and Neo Geo Pocket Color for handhelds. My brother has our childhood SNES, I just went and bought another one for myself. All of those came along to me and/or my family new save for the Intellivision, which came from a church sale. Of some note, I do also have the Genesis/32x combo my aunt had that i played the hell out of as a kid, and my grandmother's Atari 2600 Jr. that I also played a lot whenever we visited for the summer. I have all of the consoles that I obtained as a kid, with one exception (sorta, read below). I turned 18 in 2000. Colecovision: I was born in January of '82, and my older sister got it for Xmas that year. She lost interest, so I snagged it at a young age. NES: First console I could say was 100% mine. Xmas of '87. It was the Deluxe set with R.O.B., which I still also have (mostly). Now, there's a caveat: When my original NES stopped working as most of them did, my dad would buy a new one and do what he called "The Switcheroo Game" and return the broken one in the new box. I think he did this about 3 times before they switched over to the top loaders. So if you lived in the Boston area and got a broken NES right out of the box, sorry. Whatever the last one I had, I still have it. Game Boy: Got that for Xmas in 1990 IIRC. Came with Tetris. Just repaired it recently! Genesis: Birthday present in 1993, I think. It was right after Sonic 2 came out, and it was a Core System "High Definition Graphics" Model 1. SNES: Got it late, around 1995, the day after Xmas. Parents bought it from BJ's Wholesale Club for Xmas in some special "Sports Pack" that was supposed to have Stanley Cup Hockey and NCAA Basketball, but someone stole the games out of the box. That got returned, and I went with my dad to KB Toys and bought a Control Deck and 3 games: Super Castlevania IV, Samurai Showdown, and Super Mario World. I may have also bought Zelda: A Link to the Past at a different store that day. I think I made out better in the deal! Saturn: A friend was selling his in late 1995 after buying a Playstation. Came with a bunch of games, including Guardian Heroes! Like him, I eventually got bored with it, though. N64: Once Zelda: Ocarina of Time was announced, I had to have it. Got it Xmas of 1998 with OoT. Playstation: By 1999, I was all about JRPG's after getting introduced to games like Chrono Trigger and Final Fantasy III/VI on the SNES. After being disappointed with the lack of RPG's on the N64, I bought a Playstation sometime in 1999. I think I bought Final Fantasy VII the same day. Computers, however, are another story. I have exactly zero of my old computers. Apple IIe: My uncle used to work for Apple, and was also a college professor. I think he wrote some printer protocol that was used in a lot of computers which made him $$$$$$, and he was a big proponent of getting kids into computing and getting computers into classrooms. He bought us a IIe when I was probably 4, and I loved it. My sister and I used it all the time. My mom gave it away after we got a Pentium PC. I was not happy. Gateway 2000 Pentium MMX 166mhz: When we stepped up to a "real" PC from the IIe, we went BIG. Another family member, also a teacher, was huge into computers as well, and recommended building a Gateway 2000 machine. So we did, to the tune of something like $4,000. It was freaking AWESOME at the time. I wish I still had it, because it would make a great retro DOS gaming machine. It got tossed when we upgraded to another Gateway 2000, this time a Windows ME machine that was awful. I didn't start retro collecting until around 2001-2002, but I had basically had an insta-collection because I rarely got rid of my old stuff. When I was 3 years old, my dad brought home my aunt's Atari 2600, which she apparently didn't want anymore. I grew up with that and eventually it became mine, mostly because nobody else wanted it. I was around 9 years old when I got my first Lynx. All my friends had the NES, and my parents were afraid that I only wanted it so I could be like all the cool kids. So they intentionally got me the most obscure thing they could find, and I'm glad they did, because it was so much cooler than the Gameboy. Of course I wanted all the games, but I was on a kid's budget and only had a handful. I had my first summer job when I was 13 or 14 - doing yard work and minor building maintenance for my dad's employer. Naturally I saved up for the Jaguar, having been molded into a stolid Atari fan by all those years with the 2600 and Lynx. And then I got the JagCD after that. I didn't get my first NES until I was 16, and that was well into the Playstation/N64 era - long after the NES had ceased to be the cool thing to own. I bought up all the classics I had played at my friends' houses as a young kid - Castlevania, Contra, Zelda, Metroid, Mario, etc. And thank God for that, as they were dirt cheap at that time and ridiculously pricey now. I have all of my games still today, although now I own a ton of systems and games. I've only ever sold duplicates. Edited by PFG 9000, Tue Feb 27, 2018 10:08 AM. Tough to remember everything, but up until this past December, I still had my childhood ColecoVision, C-64, C-64c, Coleco Adam, Action Max, and Commodore Amiga 500, all procured up to 1988. As of now, only the C-64c remains from that group. Of course, I did get a lot more stuff post 1988 (7800, TG-16, Genesis, SNES, Apple IIe, CoCo 2, etc. ), much of which I still had up to this past December, but I'll leave the cut-off at age 16. I guess the short answer is very early on I didn't want to get rid of anything (collecting this stuff really before the concept), although my parents saw to me getting rid of a few things here and there, like a Pong console, an Atari 2600, VIC-20, etc. Atari Video Computer System, Atari 5200, Atari 7800, Sears Video Arcade II, Telstar Alpha, Odyssey, Odyssey 100, Odyssey 300, Commodore 64, PlayStation 2 - got all of these in high school...I had a steady (if meager) income, zero bills or debt, and it was before retrogaming really became a thing and stuff was still fairly abundant and super cheap. The stars really aligned for me for a few years there. The PS2, C64, and 7800 were actually my wife's--not only has she been supportive and encouraging of my collecting habit since we started dating 18 years ago (take me as I am, right? ), but she was even once an active participant!--but we played them together when we were in high school. 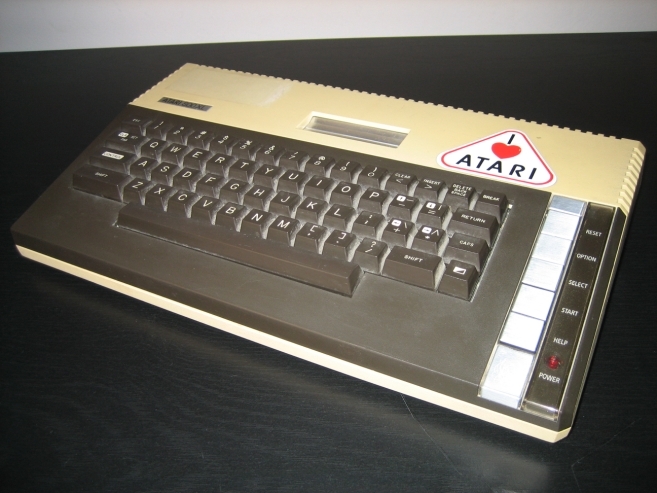 Only thing I've kept is my Atari 130XE which I had since my 13th birthday. Had to sell my whole 2600 games as a kid since we couldn't get the power supply replaced (after the Crash), gave my CoCo to my cousin after getting the 130XE and got rid of my NES after getting tired of it...only to re-purchase games from a used games store once they became popular again. I don't think less of any systems I've aquired in my adulthood as I had even greater memories of playing "classic games" as a young adult than I did having "current games" as child, though those were also good memories as well. The oldest stuff I've held onto are all the various Nintendo consoles and my Game Boy's too. Mind you some have been replaced though due to history, but I guess one constant would be the N64 from the day it came out but that was 1996 a year outside your age range. I've kept a nice stock of original picked up games from when they came out for all of them too I've never let go of along with their manuals in most cases. Nintendo GameBoy - a Christmas gift in 1989, also from my mom. I didn't really want it (even then I thought its pea green screen was nasty and its games too simple) but I did play it some. It has the common screen problem where there are dead vertical lines now, and I keep meaning to fix it but just haven't yet. Mattel Intellivision - my first ever game console, got it for Christmas in 1980. I loved it, and I had both an original and then an Intellivision II, which was yet another Christmas gift in 1982 or 83. 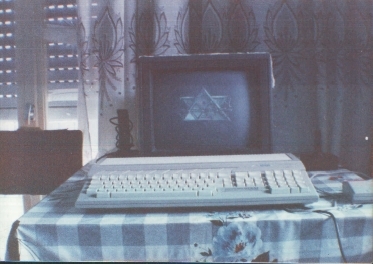 I don't know what happened to either of them, though; probably when I got my Apple II and got way into that, the Intellivisions got thrown away by my parents. Of course I have both models again now, along with all the games I used to own. Nintendo NES - boy, my parents really loved buying me gaming stuff for Christmas. This was Christmas 1985. I got the Action Set, though like the GameBoy I didn't actually ask for it and I only ever got about 5 games for it. It went into a closet pretty quickly and probably again got thrown out. But I bought another Action Set later, CIB, because both my parents are gone now, and this was a gift that they wanted me to have. I've never really gotten into it even now but I just want to have it. I think that's about the cutoff of childhood for me... next systems I got were a PC and Sega Genesis in college. btw my parents kept giving me game stuff as gifts even after that... I remember my college graduation gift from my mom was a PlayStation 1. I still have that too. Well, I entered the magic world of computers in 1987 with an Atari 800XL. After 2 years my parents bought me an Atari 520STFM. Sadly, I did not take my 5200, Master System or Genesis with me when I left home (or more importantly, their games). The home was sold, later and these things were presumably given away. I've replaced 99.99 percent of that stuff, but still lost some things that were memorable to me, including a bunch of the old Team SEGA tipsheets they would sometimes send you if you called their help line. I've found those again online, but I had a lot of attachment to that stuff. Also, that means the expensive Wico replacement controllers I had for the 5200 went bye bye. Luckily, I kept my Saturn (and games) from my late teenagerhood; that would have been some expensive stuff to reclaim nowadays. The same actual unit, since you were 18 or younger. Cool stories everyone thanks for sharing them! I was one of the earlier people using a laptop for both desk and mobile computing, also I wanted to have a better machine than my 486SL/33 so in 1994 I saved up and bought this 1000$ laptop and got a scsi pcmcia card. Alas, the 400 didn't work last time I tried it (just displayed a solid color screen). The other 3 all work fine and still have the original boxes/manuals. I think I have my original Commodore 64, but I've swapped parts back and forth with additional ones I've bought since that I'm not entirely sure anymore. Probably the next-most-recent original purchase would be my PS2. Edited by Laner, Tue Feb 27, 2018 3:31 PM. An older Macbook Pro, a present for graduation high school. Screens cracked, but I have it hooked up to a TV, so I can use it if need be. I'm considering high school the cut off date, so that's it! Edited by pacman000, Tue Feb 27, 2018 4:09 PM. The only console I still have from before I was 18 is my Kiwi green Game Boy Color. I believe it was a Christmas gift- I just know it was a Costco bundle with Pokémon Blue & the strategy guide. The game, sadly, I lost, but I still have the guide & the console kicking around. I actually still have the console's BOX, even- which is why my go-to GBC is now my fiancé's teal unit that I took out of the 'sell/giveaway' box. I do still have games from my childhood- before the GBC, I got an original grey brick when I was 12 for Christmas. We were moving shortly after the holiday and my parents bought us each one for the 2-state drive. Link's Awakening & Pyramids of Ra are definitely both my originals, and I think Super Mario Land & Alleyway were my sister's. I also still have most of our original Genesis games (Sonic 1, Art Alive, Columns, Lightening Force, etc), although I replaced the family machine with one paired to a Sega CD shortly after graduating high school. And most of my PS1 collection was acquired in my late teens as the system itself was my 16th birthday present. I got Parappa the Rapper & FF7 with it. Annoyingly, that copy of FF7 was stolen & I had to replace it. I was precisely 18 the first time I bought myself a new console. It was early summer 2000, I was going somewhere with my sister and teasing her about her upcoming high school graduation. I asked her how much money she'd received from all the cards I'd kept seeing in the mail. She paused, then said "here's the deal. When you graduate, you're gonna get a lot of mail from people you don't remember- but apparently they knew you when you were 3 and now they're giving you money. I've got, like, $400 so far." And I immediately thought, 'that will buy a PS2. I'm buying a PS2 next year when I graduate.' And that is exactly what I did. I bought Zone of the Enders with it. Shortly after, I bought Shadow of Memories- less becuase I really wanted it and more becuase half of my remaining money went "missing" (my brother was sticky-fingered in his teens ) and i wanted to buy another game while I could still afford it. I did enjoy the game. None for me sadly. When I was a teenager I sold all my childhood consoles to buy a PlayStation 2, which later got sold to buy a GameCube, then that got sold when I moved out on my own. At this point my longest owned console is my Nintendo Wii, which I've had since launch day in November of 2006. My second longest owned would be my Game Boy Color, which I got about 5 years ago. Everything else I own console wise has been acquired over the last 2 years. Admittedly I've never been much of a collector though, I've always sold off my systems and games when I get bored of them and then put the money to put towards a new system and games. Holding onto stuff has never been one of my strong points. Edited by Jin, Wed Feb 28, 2018 1:28 PM. Computer-wise, I have my grandparents' Commodore Plus/4 w/tape deck and floppy drive. Still works, but one keyboard is stuck typing characters instead of the letters. IIRC, holding shift let's you type normal. For consoles; Grandparents' Intellivision, Play It Loud Clear DMG, and a purple GBC. I mentioned elsewhere that I got rid of all my childhood consoles so I could afford a nicer engagement ring for my (now) wife. I don't regret it, but I did start collecting again. The only exceptions to all that are my Dreamcast and Commodore VIC20. The VIC is still at my parents' house somewhere. Last time I fired it up was 2001 or 2002, when I still lived there, and it was fine other than a missing 5 key. The switch still kind of worked so you could still type everything. I had just turned 21 when the Dreamcast came out, so I guess it's not really a childhood thing, but it's the only "original" console I have left that could reasonably considered "classic" or "retro" today.